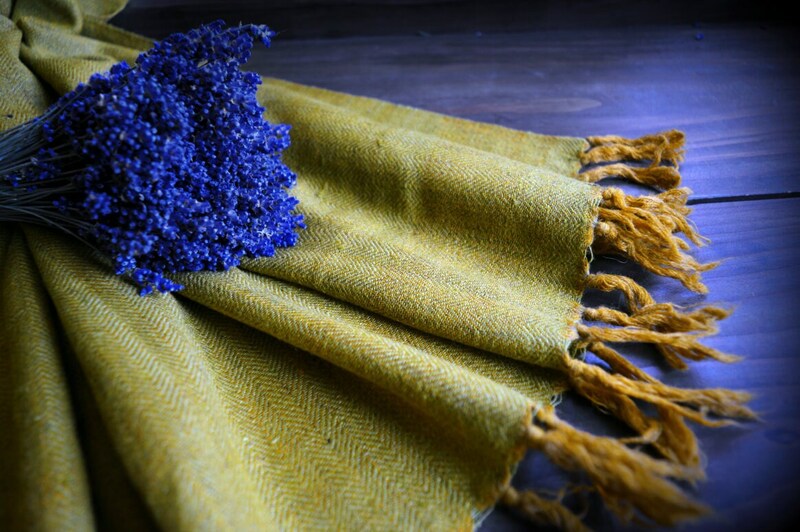 Thin, large, luxurious silk and wool shawl handwoven in herringbone weave. The shawl is made of yarns in two colors: warm, light green and mustard yellow. The final effect is beautiful and unique. This shawl is a perfect addition to your historical costume for sun, cold and wind protection for Vendel and Viking period reenactors. You can wrap it around your neck, shoulders or create a head covering of it. You can wear it long or double-fold it and have two warm layers to cover your arms. Weight : around 170-180 g/m2. 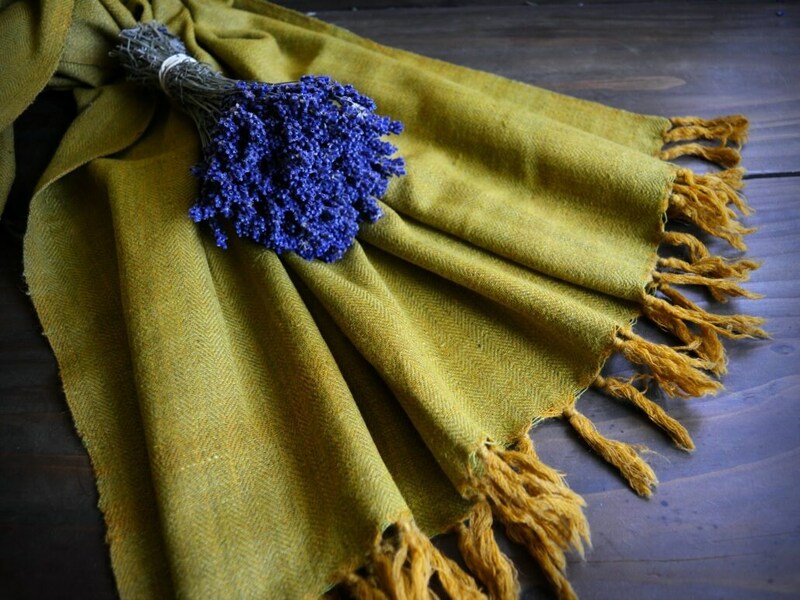 Handwoven from 100% natural silk and wool yarns. Yellow and green colors of yarn (different on warp and weft). The colors depend of your device, they may differ in reality to those you on your screen.